HAIKOU, April 13 (Xinhua) -- Chinese President Xi Jinping Friday announced a decision to develop the island of Hainan into a pilot free trade zone. "Here I solemnly announce that the Communist Party of China Central Committee has decided to support Hainan in developing the whole island into a pilot free trade zone, and gradually exploring and steadily promoting the establishment of a free trade port with Chinese characteristics," Xi said. Policies and institutional systems for building a free trade port in Hainan will be established "step by step and stage by stage," Xi said at a gathering celebrating the 30th anniversary of the founding of Hainan Province and the Hainan Special Economic Zone. Xi urged the province to give priority to opening-up, implement a more proactive opening-up strategy, speed up the establishment of new institutions of an open economy, and make new ground in pursuing opening-up on all fronts. 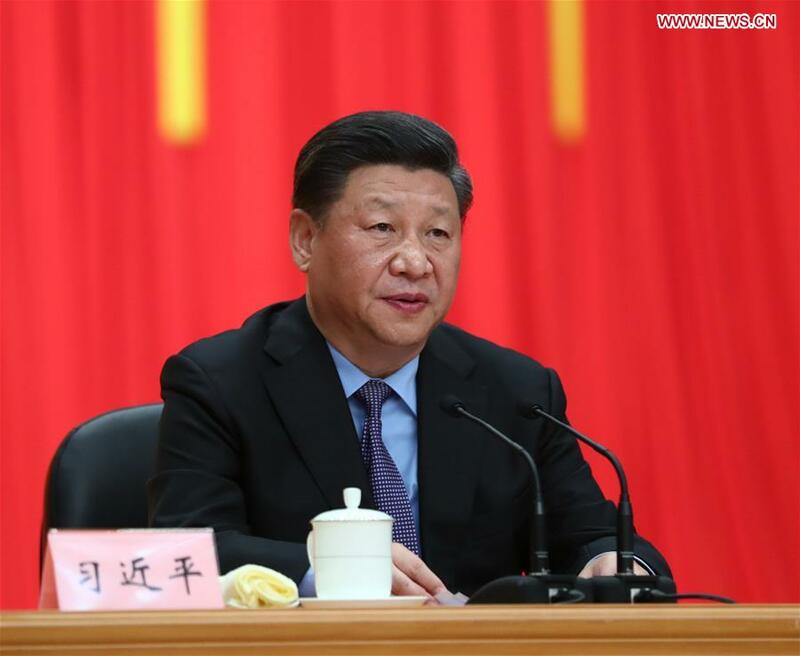 Calling the decision a major move, Xi said it highlighted the country's resolution of further opening-up and promoting economic globalization. In developing the island into a pilot free trade zone, Hainan will be granted more autonomy to reform, and speed up the fostering of a law-based, international, and convenient business environment as well as a fair, open, unified, and efficient market environment. The pilot free trade zone will implement high-level trade and investment liberalization and facilitation policies, and overseas businesses there will receive pre-establishment national treatment with a negative list management system, Xi said. Focusing on sectors including seeds, medical care, education, sport, telecommunication and finance, the pilot free trade zone will push forward opening up of modern agriculture, high-tech industries and modern services, boost the development of service trade, protect the interests of overseas investors and promote the gradual opening-up of the shipping industry. A free trade port represents the highest level of opening-up. The Hainan free trade port should carry Chinese characteristics, conform with China's conditions and the province's development orientation, Xi said. The president also invited investors worldwide to invest and develop in Hainan and participate in developing the free trade port, and share the country's development opportunities and reform outcomes. He noted that Hainan should focus on the development of tourism, modern services, and high-tech sectors, instead of intermediary trade and manufacturing. In the development of the free trade port, Hainan should also enhance cooperation with countries and regions along the Belt and Road.